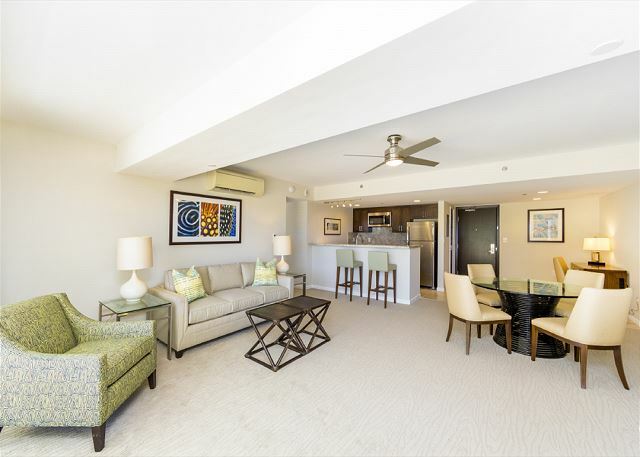 The unit is located in the Ilikai Hotel on the second floor. This is the hotel you see in the opening scene of the old famous TV show, Hawaii 5-0. 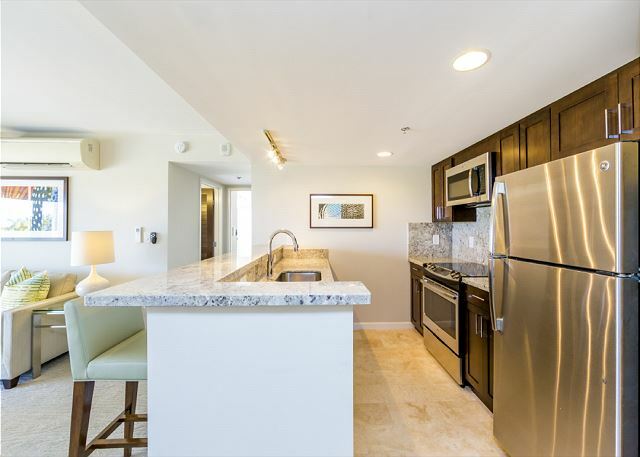 Offers a full gourmet kitchen with all the amenities like a staying your own home. 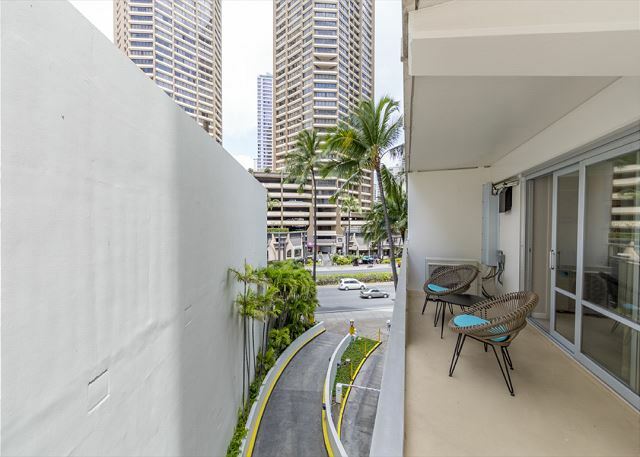 Prime location for experiencing the Waikiki beaches and activities Hawaii has to offer. There are plenty of restaurants nearby to enjoy with friends and family. Convenient to go shopping at Ala Moana Mall. 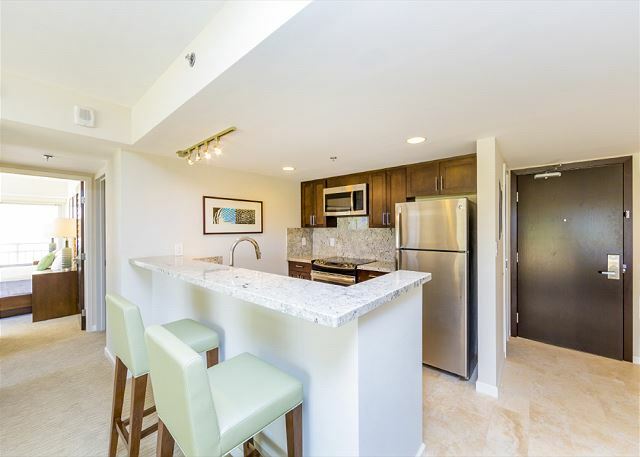 Unit is 2 bedroom, 2 bathroom with huge lanai. pool area is right front of the unit. One of the bathroom has a Japanese style deep tub. 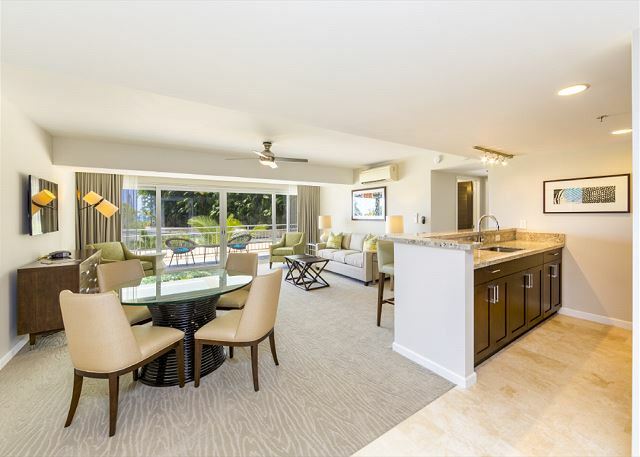 Enjoy your vacation at this beautiful unit! A $1,500 refundable security deposit is require to confirm your reservation. **Parking is not included with this rental, please inquire about available parking info. The location was perfect, the property was beautiful and clean. The only minor issues were the batteries in A/C controllers were too weak to maintain the settings. Some lights were burned out and needed to be replaced. Otherwise, it was great for what we wanted. Enjoyed it very much. We spent a comfortable week here with our three boys (aged 8, 12, and 16). There was just enough space for all of us, and the keyless entry was nice since we could all come and go with out worrying about a key. The Ilikai is about a mile from where the best beach and restaurants and shops are, but we found the trollley and taxis quite easy, and we did a lot of walking. One thing I would have appreciated is a source for purified water. We found that the pool has one, and we kept refilling our 32oz water bottle, but it would be nice to have better drinking water in the unit. Also, a tea kettle would be great. We needed help finding a pillow case and TP, so I texted the manager and he was very responsive and helpful. Overall, a very good experience. 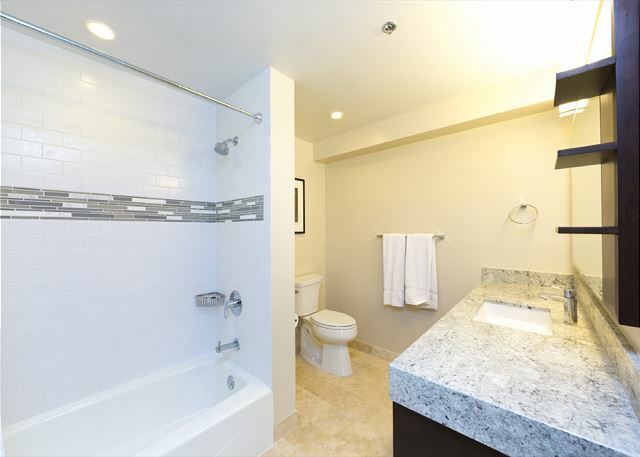 The apartment was absolutely beautiful with all the amenities you could want and more. 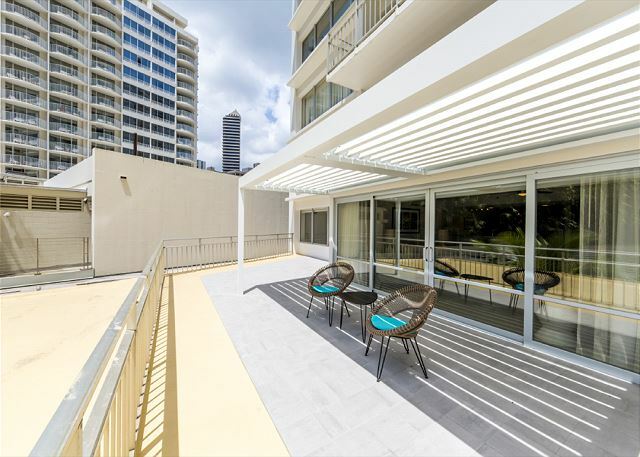 The location is amazing and is close to shops and transport. The price was very reasonable and the property management team were very courteous and professional. I would thoroughly recommend this accommodation. Perfect for families. Modern facilities. 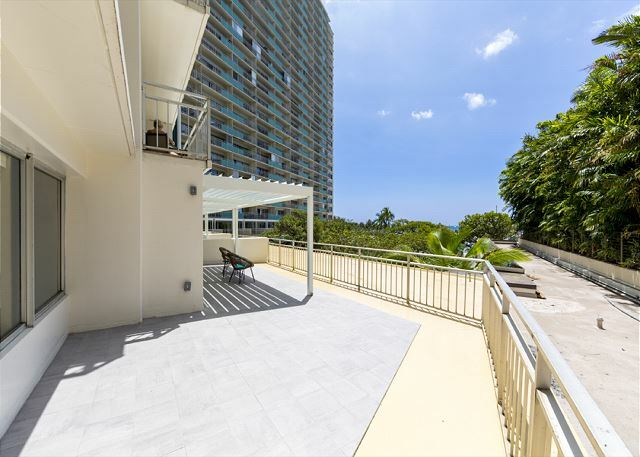 Close to walking distance to beach and lagoon. Everything provided within hotel (stroller, beach toys etc)Major tour companies stop outside hotel which is convenient for touring. Close to major shopping mall but away from tourist strip. Great Customer service. Our New Yearly Vacation Spot! Love this place! I can't say how wonderfully relaxing it is to travel and have a place with so much room and sunlight. This was our 2nd time staying here and we loved it just as much. Even with some rainy days having a place with all the sunlight and room made our rainy day indoors relaxing. Will also say how easy it was communicating with Yusuke. So great to have someone follow up to make sure our stay was going well. It is wonderful to rent from someone who is kind and generous. The unit was overall very spacious and comfortable for two couples and two children. Pros: great location, within walking distance to beaches, restaurants and access to pool. Good amenities such laundry, kitchen. Cons: front door is sticky, difficult to open and does not close well. Sachi Hawaii did not provide toilet paper or other supplies upon our arrival. We had to call them for this and it was not delivered until the next morning and then they were late which caused us to wait around. Parking is an investment. You can opt for Ilikai valet at $28/day or park in the marina for $1/hour. Either way, it adds up quick. 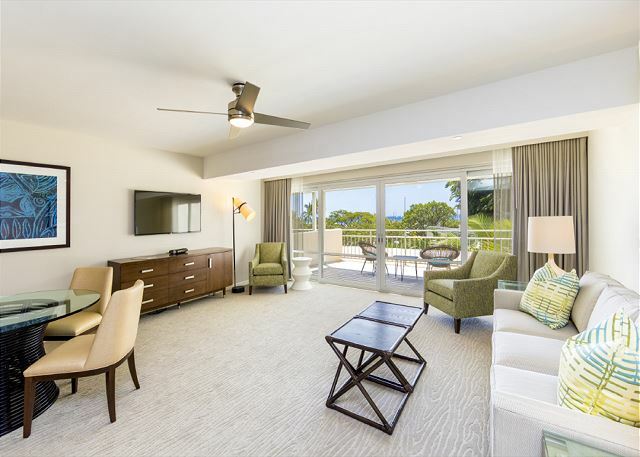 I feel grateful to have stumbled across the perfect place for my family and I to stay while we were in Honolulu. We stayed for 2 weeks. My first week was for work and the second was vacation with my family. Our 2 bedroom with spacious living area, kitchen and large balcony gave us room to be together, but also enough space for private time. This was a bitter sweet vacation as we had originally planned to come here with my husband. He passed way May 2016 suddenly. I made a promise to myself that for this first year I would make sure my kids would wake up to me. I have business in Hawaii and had not been in a year so I took them along during their spring break and my brother and partner came along to watch the kids while I worked the first week. This trip gave me room to heal. I would sit in the balcony with my cup of coffee and journal. This was the first time and the beginning of getting my children (ages 4 and 7) to sleep separate from me. I felt my husbands presence everyday, but at a distance, giving me room to heal. Forever grateful for this time and place that allowed me some healing.